Electronic Arts Chief Operating Officer has said that the company expects revenue from digital downloads of games to overtake sales of discs within the next few years. As such it is now focusing on expanding its collection of mobile and free-to-play titles. EA has been struggling to maintain revenue growth as gamers move to casual and social games online and on mobile devices. As a result EA’s business model has been evolving as it increases revenues from its mobile and online games. According to COO Peter Moore, there will come a point when the company says “We are doing more in digital media now that we are in physical media and it’s clearly… not far away.” He added that over the past 12 months EA’s digital revenue has risen to $1.3 billion. At present EA have 41 social mobile and free-to-play games on offer and they may be announcing more later on in the year. They are able to raise revenue through free-to-play titles by selling gamers enhancements which improve gameplay. According to researchers at NPD Group, sales of boxed games in the US dropped by 20% last month to $546 million which accounts for around 50% of the $1.1 billion that consumers spent on computer games. Around $439 million was spent on mobile apps and social network games. According to Moore’s predictions, in the fiscal year ending March 2013 EA will expect $2.6 billion revenue worldwide from packaged goods and $1.7 billion from digital products. 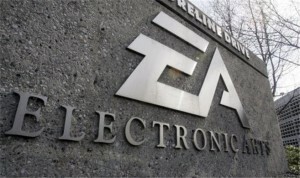 In the first quarter of this year EA’s digital revenue grew by 55% but its overall revenue declined.